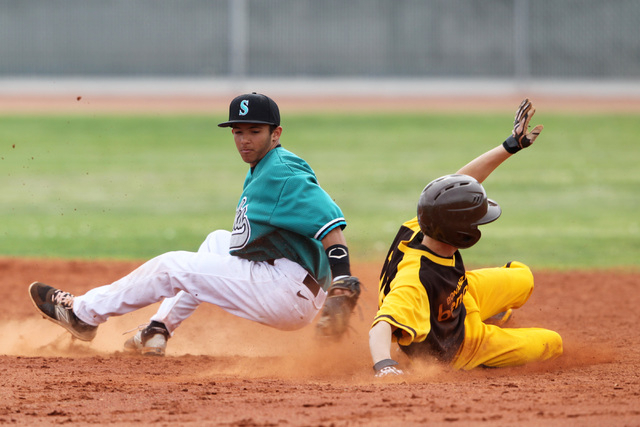 Bonanza’s baseball team pounded out 15 runs and 23 hits in two victories over Silverado this season at the Bengal Varsity Tournament. 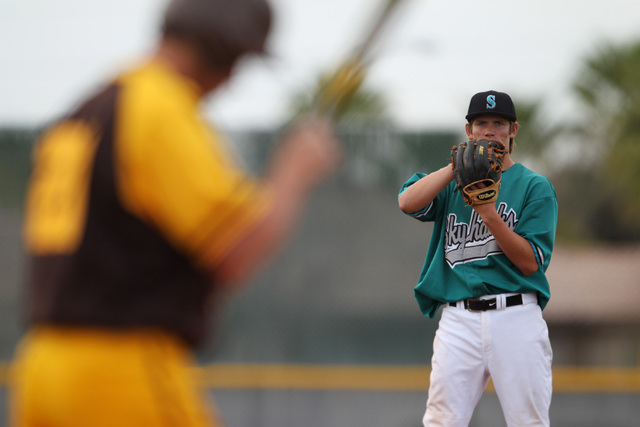 Skyhawks sophomore pitcher Buddie Pindel made sure the third meeting between the teams was different. Pindel allowed three hits in seven innings, and host Silverado capitalized on a handful of miscues by the seventh-ranked Bengals to claim an 8-1 win Wednesday. Silverado (5-3) finished with 11 hits against three Bengals pitchers, as leadoff hitter Dillon Johnson went 3-for-4 with two doubles and Michael Camburn was 2-for-4 with a double and two runs. 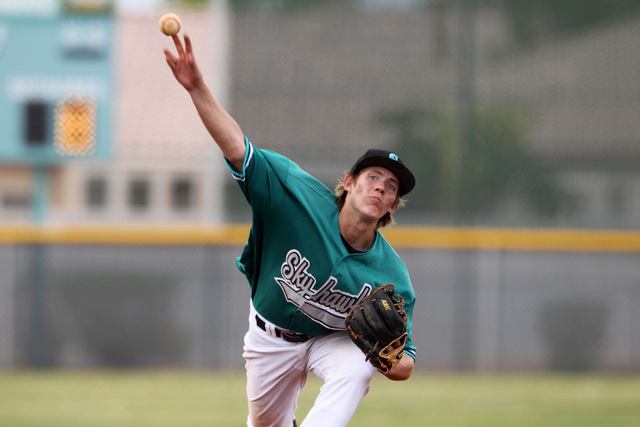 Pindel kept Bonanza (7-3) in check, needing only 76 pitches (48 strikes) for his second complete game in two outings. The right-hander struck out three and walked two while allowing only one runner past second base. The Bengals put runners on first and second with one out in the third inning before Pindel struck out Micah Higa looking and got Spencer Faught to fly out to end the threat. Bonanza’s run came in the fourth when Chris Dunn led off with a triple to deep center and scored on a sacrifice fly by Hunter Junge. Alex Grafiada’s run-scoring single in the second inning gave Silverado a 1-0 lead, and the Skyhawks scored three times in the third on a passed ball, balk and throwing error. Silverado sent 10 batters to the plate in the fifth, scoring four runs. Payton Ballard and James Skelly had RBI singles to put the Skyhawks ahead 6-1, and another throwing error brought in two more runs.